Penzion u Brány is located in historic center of the town Znojmo in the street U Brány. In a close proximity of the penzion is located some of the best known monuments of historical heritage of belonging to the city of Znojmo - kostel sv. Mikuláše, Svatováclavská dvojkaple, Radniční věž, Znojemské podzemí, rotunda sv. Kateřiny, Znojemský hrad, Loucký klášter. 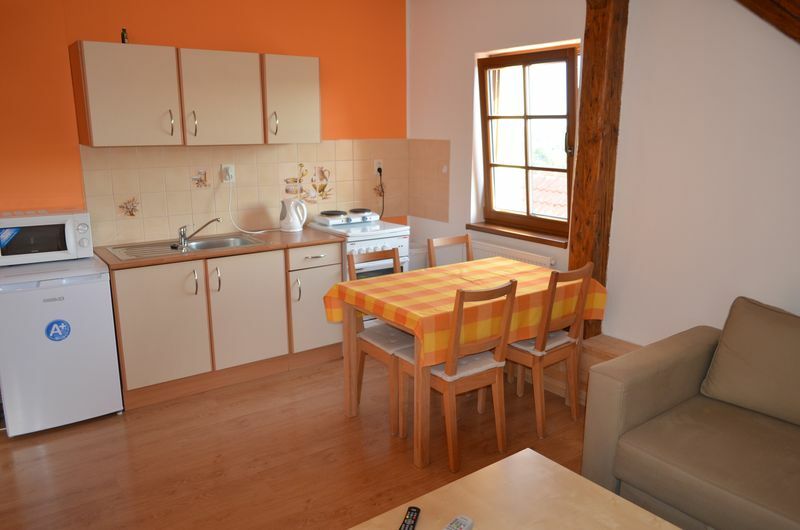 Penzion U Brány is offering you accomodations in an apartments with capacity of one, two, three or four beds. Apartments are equipped with kitchen unit, wifi internet and its own bathroom with shower or bathtub. 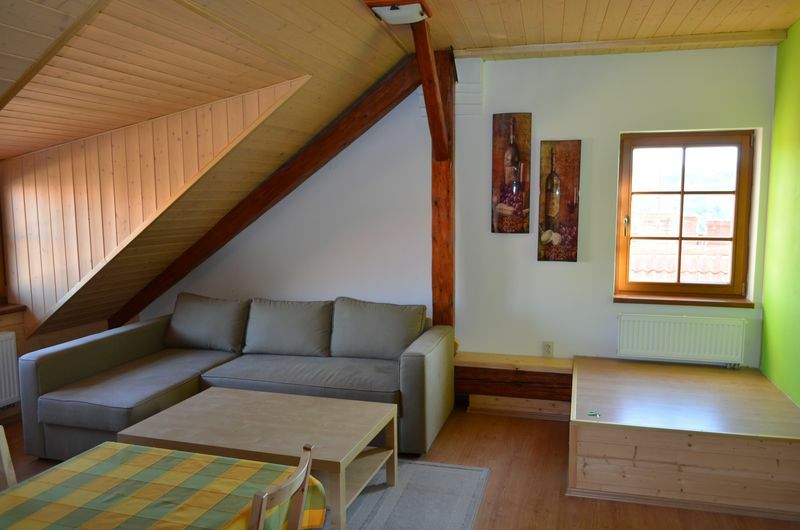 From the apartments is a beautiful view on the old city of Znojmo, Kraví horu or church sv. Mikuláše. Penzion has its own parking lot where you can park your cars and bikes. 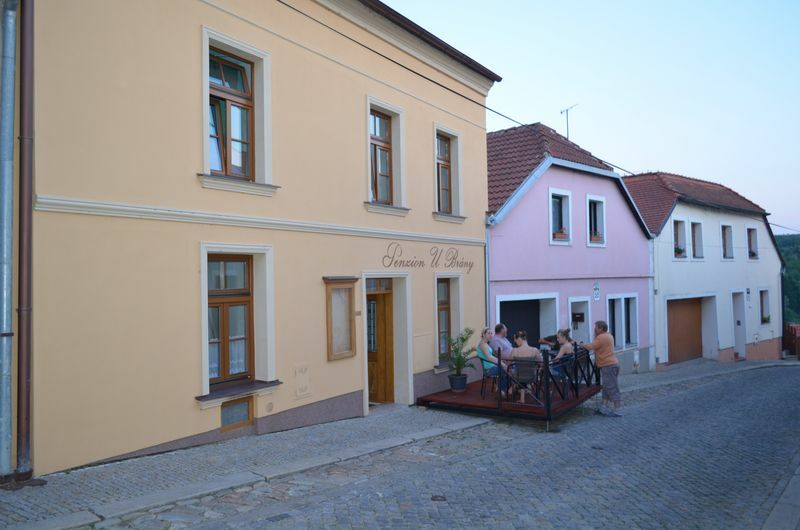 In the ground foor of the guest house is a wine bar with capacity for 30 people and which is used for celebrations and Znojmo top wine tastings. Meals will be prepared for your own choosing after arrangements. In the wine bar we tap - Pilsner Urquell 12°, Gambrinus 10°, and original Kofola.. Under the building there is a wine cellar where the wine is prepared and offers great atmosphere for the wine tastings. 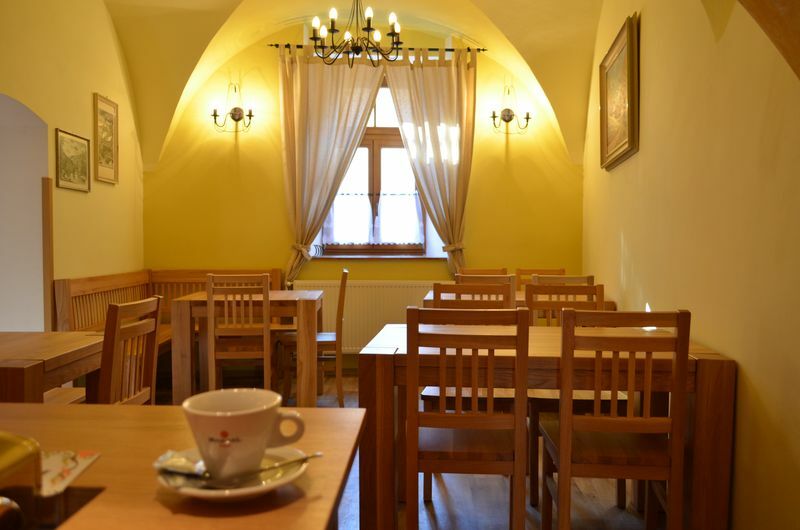 We are looking forward for your visit of our Penzion U Brány Znojmo.